This is a little different than holding a coffee hour. State Representative Pauline Wendzel’s office tells us she’s planning to hold a “Pints with Pauline” event this month at Arclight Brewing Company in Watervliet. She’ll be there on Monday, March 18 from 5 to 6:30 p.m. to talk with residents about any concerns they may have. 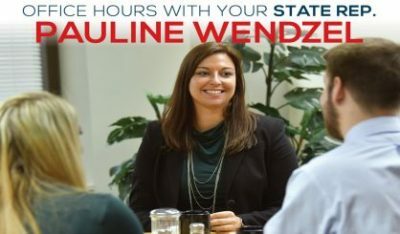 Wendzel says she’s holding the event in the evening so those who work during the usual morning coffee hours have the opportunity to share their thoughts about state government and hear about what’s going on in Lansing. No appointment will be necessary. Anyone who wants to talk with Wendzel can just go to Arclight Brewing Company on Monday from 5 to 6:30 and have a chat.